In July 2018, many people clung to their TV sets for two weeks and almost disappeared from the real life: they were watching the dramatic events of the 132nd Wimbledon tournament. 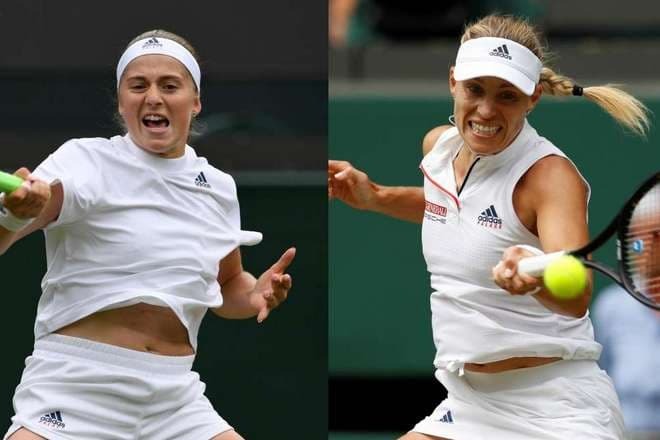 It was the moment of Angelique Kerber’s first victory at Wimbledon. Kate Middleton was present at the match with Meghan Markle; they congratulated the athlete. Angela Merkel called Kerber’s performance splendid. Later, Angelique revealed the secret of her success: to be cool and think about her opponent, great and unique Serena Williams, less. People often say that everything starts with a family, and Angelique’s story is a nice example. The girl was born in Bremen on January 18, 1988. Her parents were Polish of the German origin; they inspired and supported their daughter from her early childhood. The girl took a tennis racket at three when she lived in Kiel. From that moment, she has never parted with it. Beata Kerber, the girl’s mother, became her daughter’s personal manager and main assistant. In 2012, the family moved to a small Polish town Puszczykowo. The athlete has many relatives who support her. Her sister Jessica, a cosmetician, and the grandparents are the most passionate fans; Angelique’s grandfather, Janusz, founded a sports academy for his talented granddaughter. Today, that sports center is one of the largest academies in Poland. Kerber’s career is not marked with scandalous details or provocative claims and following fines. The athlete has not been a girlfriend of famous singers or been accused of doping. She seems to be distant from everything except for her favorite sport. Angelique began to try herself at big courts and various competitions at 13. However, she earned recognition later. Her career was developing rapidly: she triumphantly defeated strong opponents with her graceful left-hand serves, faced Serena Williams, and won a sensational Grand Slam tournament victory. Later on, Kerber reached top WTA positions and gained a silver medal at the Olympic Games. Naturally, there were some failures. The way to the finals and semi-finals was exhausting: the athlete conquered them only in 2016. The following year was a disaster: Kerber had health issues that made her stop when the cherished victories seemed to be closer than ever. Besides, her coach changed, and she lost her leading positions in top ratings. The situation was worsened by total losses to Anett Kontaveit at Stuttgart Open 2018 in April and Dominika Cibulková at US Open in September. Kerber is calm and respectful of her opponents; she can appreciate their results, especially if they are at their limits, and feels glad to compete among her fellow citizens because they motivate each other. 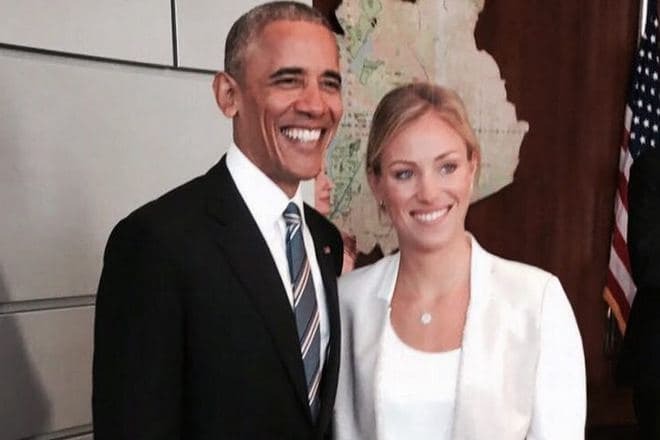 Journalists are always asking the athlete about her personal life, boyfriend, and future family plans; as a restraint German, Angelique says she is not in a hurry. The woman does not look for a partner on purpose: everything including love happens in its time, and tennis is the most important thing for her now. In 2016, the media were actively discussing the alleged relationship with the coach Torben Beltz; those speculations were caused by the young people’s hugs after the US Open victory and their photos together in social networks. However, no confirmation followed. The rumors about the woman’s possible relationship with her former coach Benjamin Ebrahimzadeh were not proved. The athlete’s reputation is spotless. Although the blue-eyed blonde is single, she feels comfortable and lacks no attention: fans adore Angelique for her Hollywood smile and simple character that has not changed after many breathtaking victories. Unfortunately, good sports results do not guarantee everybody’s love and emulation. Kerber confessed she used to be threatened by an unknown man when he lost his money after bookmaking. After tough training, the athlete goes for a walk, communicates with her parents and friends, dances, goes shopping, and sleeps to recuperate. Besides, she likes surfing and cycling. Angelique loves car driving and even tried herself at a neat parking competition. Julia Roberts is the athlete’s favorite actress; Paulo Coelho’s Alchemist is her favorite book; Helene Fischer is her favorite singer. Kerber calls Steffi Graf and Magdalena Neuner her examples to follow. Angelique’s parameters are similar to those of models: 94-66-89; her height is 173 cm., and her weight is 68 kg. The photos and videos where she was dancing with Novak Djokovic at Champion’s Dinner in a gorgeous red dress prove that.